The galvanized steel 185 lb. flat umbrella base is made for large umbrellas and cantilevers. 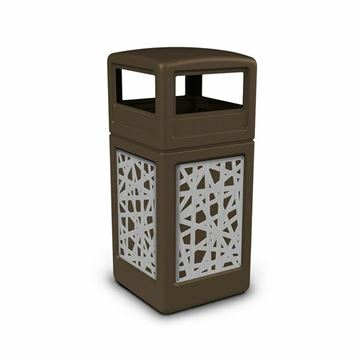 Designed to be used free standing this sleek umbrella base can be used in hotels and resorts. This umbrella base is galvanized for a polished look that will look great for years. Stackable up to 3 weights.